The optics of turning Andrew Wiggins into a sixth man might be askew for a player in the first year of a max contract. But at a certain point, production is what matters. 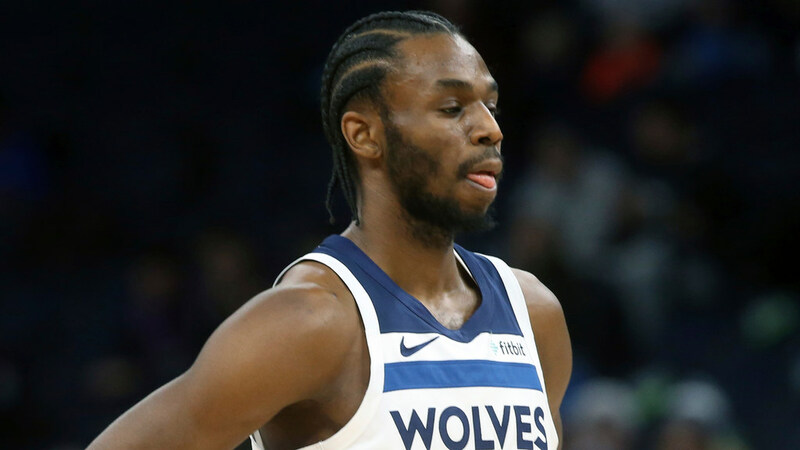 *An idea I’ve thought for a while was worth exploring — and in fact wrote about back in July — is the Wolves moving Andrew Wiggins out of the starting lineup and into a sixth man role. Seeing the Wolves pile up 130 points in a win over the Clippers on Monday while Wiggins was out sick shouldn’t serve as some sort of SMOKING GUN Exhibit A considering it was just one game and Los Angeles was playing in the last of a six-game road trip, but it does at least provide the occasion to think again about the relative strengths and weaknesses of Wiggins and the Wolves’ roster as a whole. I like Wiggins in a role off the bench for both addition and addition-by-subtraction reasons. Advanced stats suggest Wiggins has been a below average player throughout his career, and bringing him off the bench would lessen his overall negative impact. The one thing he’s consistently proved to at least be adept at is volume scoring, and as part of an attack-minded second unit (playing against other second units), that could be a true asset. Would Wiggins' track record as a scorer make him better suited to become the Wolves' sixth man? Here's a look at the numbers. The Wolves have been better this season with Wiggins on the floor than when he’s off the floor, but it’s fair to wonder given his other advanced stats whether that’s a function of his impact or a function of playing heavy minutes with Karl-Anthony Towns and other high-output starters. Within the more rigid rotational framework of the Tom Thibodeau era, the notion of trying Wiggins off the bench felt like unlikely at best. Ryan Saunders, though, has proved to be far more willing to try new things. At Monday’s shootaround, before inserting Dario Saric in the starting lineup for the first time this season in place of Taj Gibson while also subbing Luol Deng in for the ill Wiggins, Saunders talked in general terms about what he will do when more Wolves players become healthy. Maybe that could and should mean this: Keeping Deng in the starting lineup Wednesday against Houston and trying Wiggins off the bench (assuming he’s active) in the last game before the all-star break. And swapping Robert Covington for Deng once RoCo is healthy post-break while continuing to let Wiggins try to grow into a sixth man role. The optics might be askew for a player in the first year of a max contract, but at a certain point production is what matters. If Wiggins embraced the role and became Lou Williams-esque — Lou dropped 45 on the Wolves off the bench Monday, by the way — the results could be devastating to opponents. And if he didn’t? Well, the Wolves might be better off anyway. *Towns, by the way, really liked this Derrick Rose basket Monday. *Do we even know what traveling is anymore? *Gophers coach Richard Pitino has a very important game Wednesday. But win or lose at Nebraska, he has at least won the internet on Tuesday. *Golfer Matt Kuchar and a fill-in caddie who helped him win a tournament are in a payment dispute that does not make Kuchar look good.